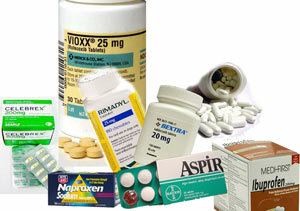 Ibuprofen and other NSAIDS, aspirin excepted, are associated with a significant increase in heart attacks. Aspirin, on the other hand, reduces heart attacks, but carries a bleeding risk that cancels the effect. Statins also reduce heart attacks somewhat, but have side effects and further have no overall benefit for most groups. The winner, therefore, is peanuts, which reduce heart attacks 30%, have no side effects, and are delicious. A recent paper, found here, indicates a significantly elevated risk of heart attack associated with NSAIDs (NonSteroidal AntiInflamatory Drugs). The list includes ibuprofen (Advil), naproxen (Aleve), celecoxib (Celebrex), diclofenac (Cambia), and rofecoxib . The risk was about 50% higher for all except celecoxib, which elevated risk 25%. Aspirin is usually included with NSAIDs, but was not included in this study. Aspirin appears to reduce heart attack risk. More on that in a bit. What’s the story on aspirin? Aspirin is known to reduce heart attacks 30-35%. This is widely known and widely followed. What is less widely known is that aspirin, even baby (low dose) aspirin, causes internal bleeding. Usually, such bleeding is minor and of no consequence, but sometimes it is major, even fatal. (And this includes baby aspirin.) The overall result is that there is no net benefit, and regular use of aspirin may even be harmful. Statins also reduce heart attacks 30% to 35%. The question is overall benefit. Do people who take statins live longer? For people who have already had heart attacks, statins may have benefit. This is controversial. Taking statins in this case is called “secondary prevention” as there has already been a heart attack. People who have never had a heart attack are often prescribed statins. This is called “primary prevention.” While there may be specific cases that benefit, numerous studies have shown no overall benefit (i.e. living longer) for almost all cohorts. There have been many drug company-sponsored studies that have concluded otherwise. Most of these studies have been heavily criticized, often in quite scandalous terms. More on statins found here, here, here, and here. Yes, there does appear to be risk all around. It is clearly best not to regularly take any of these. But what if you have a headache? The answer is too long for this post, involving genetic factors as well as cardiac risk. The short answer is find out what triggers your headaches and fix that. Otherwise, keep the consumption of NSAIDs to a minimum. A couple of handfuls of peanuts per week will reduce heart attacks around 35%. 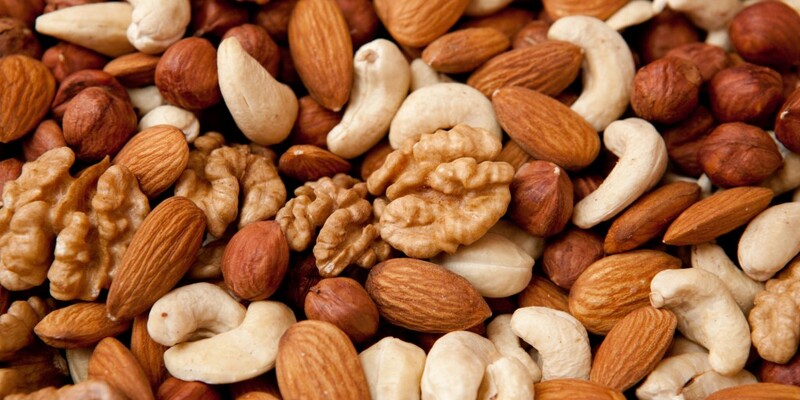 Most other nuts are likely to have the same effect. Nobody seems to know why this is, but the association is well established. The Mediterranean diet will reduce heart attacks by about that amount as well. So we have two delicious options here. Following the tenets of Quantitative Medicine will reduce heart attack from 70% to close to 100%, depending on when the protocols are started and how stringently they are followed. Quantitative Medicine also can reverse heart disease, which cannot be said of any of the preceding pills or diets. The primary factor in the heart risk reduction in Quantitative Medicine is interval exercise. This keeps the heart working over its full range of pulse rates and pressures, and allows the arteries to flush out. More on that here. The Quantitative Medicine diet is heart healthy as well. It accomplishes this by keeping triglycerides low, which leads to larger, safer LDL-cholesterol particle sizes. High carb diets do the exact opposite. More on that here. Finally, the spiritual discipline or meditation aspects of Quantitative Medicine help keep cortisol low. High cortisol is yet another major heart risk factor. The major bonus to the Quantitative Medicine approach is that risk of cancer, adult onset diabetes, dementia, including Alzheimer’s, osteoporosis, and osteoarthritis is greatly reduced as well. ← Why Don’t People Take Care of Themselves? Hmmm. I thought peanuts were a seed and not a nut. And isn’t peanut oil one of the most Athrogenic substances? For those who are interested, Dr. Kendrick has talked a lot about the problems with anti-inflammatories in his series “What causes Heart disease”. Aspirin also chelates Iron I believe, which can have a beneficial impact. Finally, you touched on one of my pet peeves, which is that it’s important to distinguish between the bogus westernized version of the Mediterranean diet and something approximating the health one, which minimizes breakfast, has only moderate amounts of grains (historically spelt, not wheat) and whole fat, often fermented dairy. Actually, peanuts are a legume, but are often included in references as nuts due to their similarity in use as with true tree nuts. I think (correct me if I am wrong Drs Mike and Charles) Dr. Mike’s stance is not that different from Dr. Kendrick’s – at lease as far as being cautious when tampering with natural body mechanisms such as response to inflammation. They probably would disagree to some extent as to what is acceptable trade-off with agents like aspirin. So I know that the concept of “if a little is good, more is better” isn’t really true. But, is it a problem to have more than a few handfuls of nuts a week. I love peanuts and buy dry roasted and unsalted. I usually eat them every day. Enjoy! Sort of fun: I have a patient who is an almond grower and we are starting an ‘almost all almonds all the time diet’ trial looking at a full array of metabolic markers. i loved peanuts as a kid but (despite eating a high-healthy-fat, whole foods diet that includes other nuts) have stopped eating peanuts because of so many “scare” articles i’ve read from folks in the alternative medicin world saying that most peanuts in the US are contaminated with aflatoxin and/or other fungi; and other various warnings i’m not remembering now. (but the aflatoxin one stands out). do you know anything about this, dr. mike, and do you have any comments on it? if i could eat peanuts/peanut butter again i would love to!